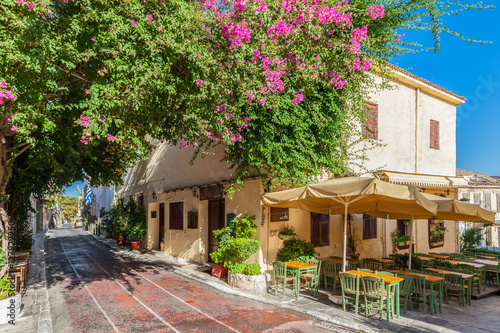 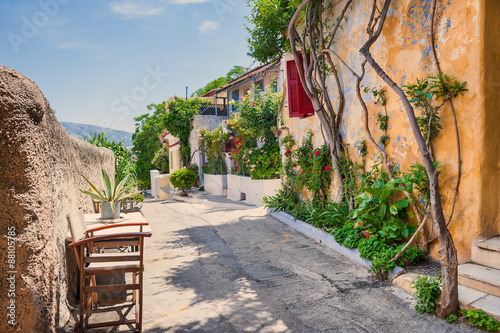 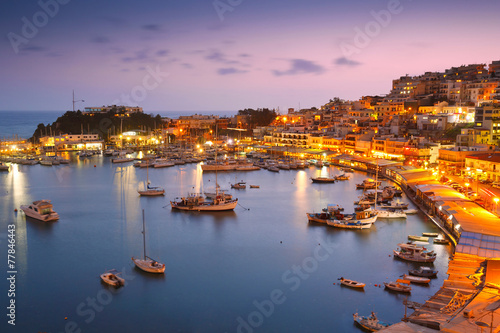 Evening in Mikrolimano marina in Athens, Greece. 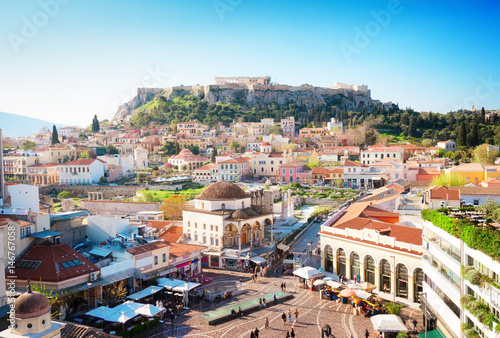 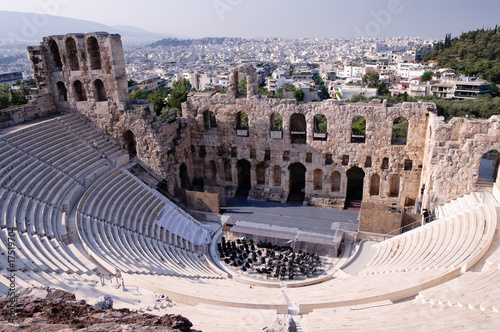 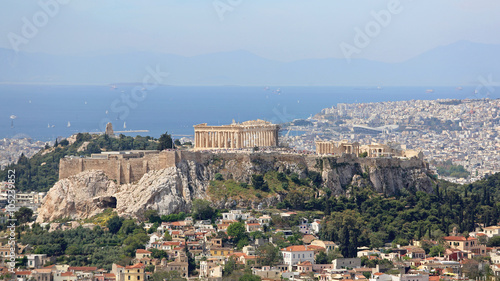 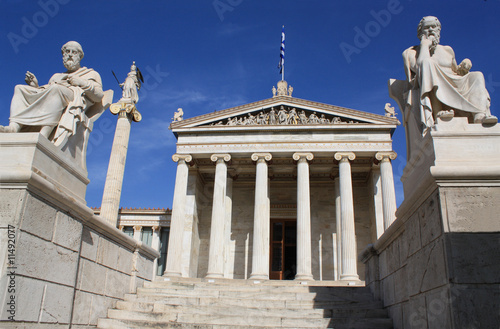 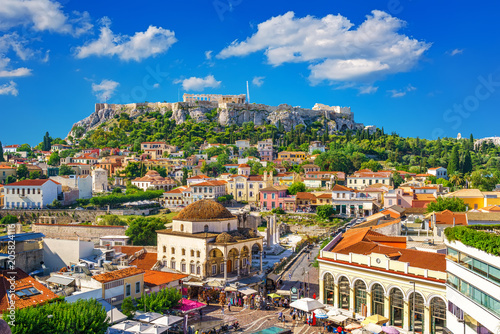 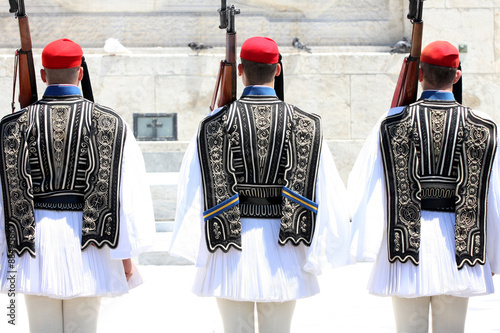 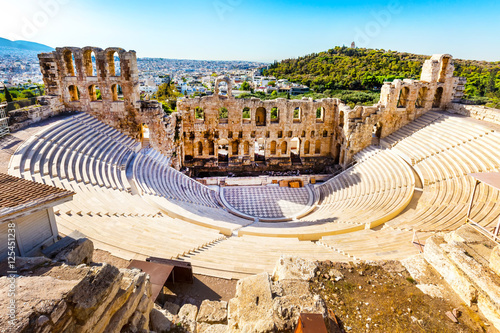 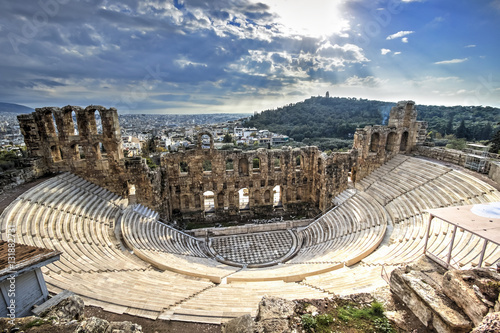 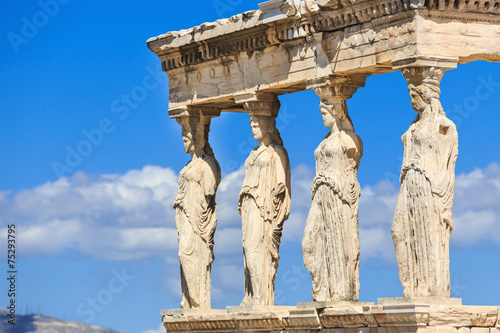 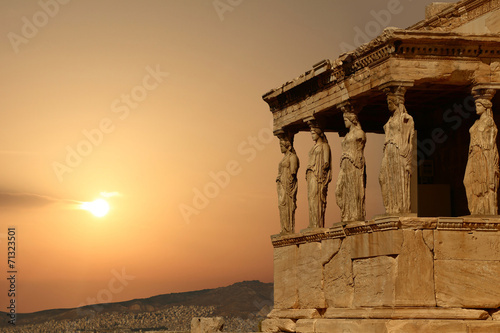 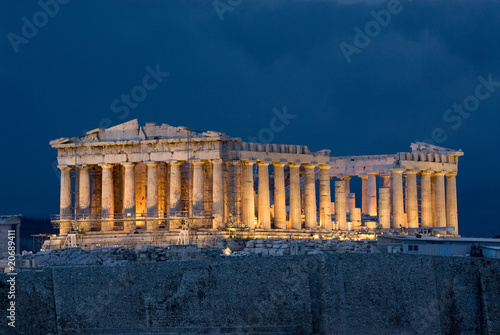 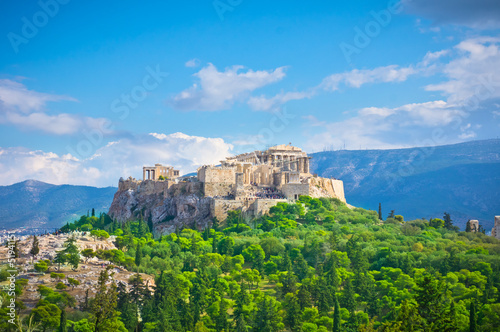 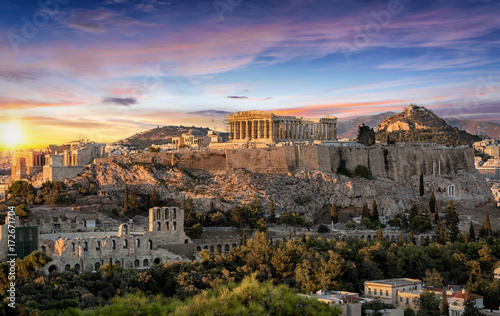 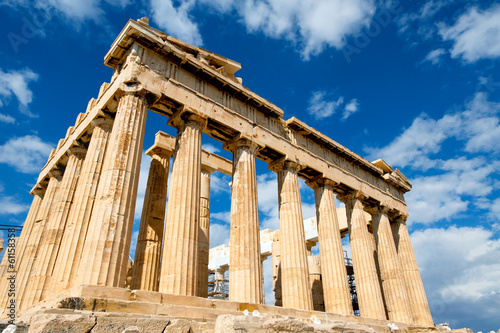 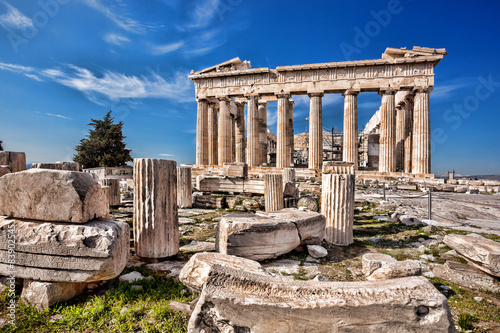 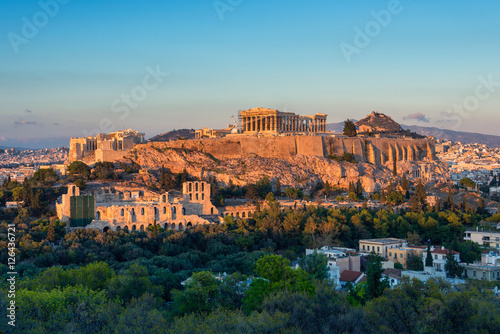 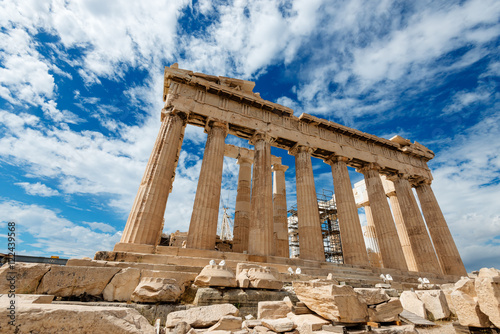 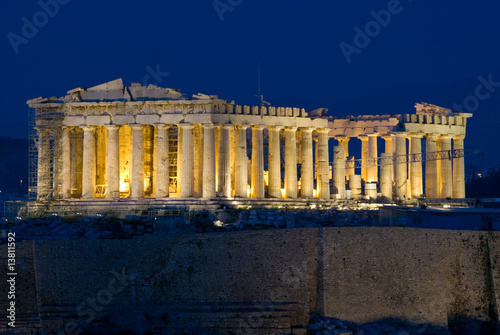 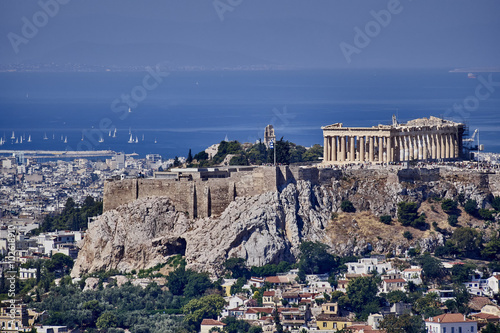 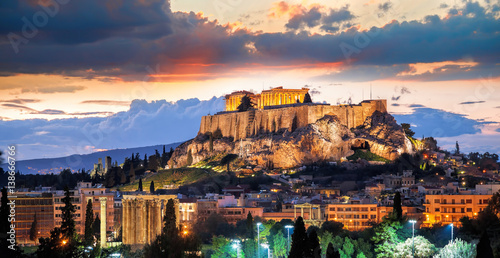 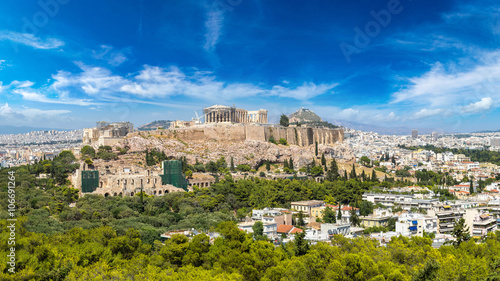 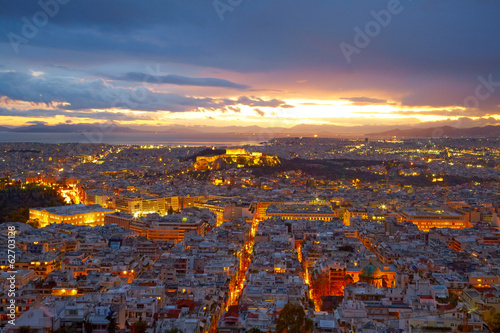 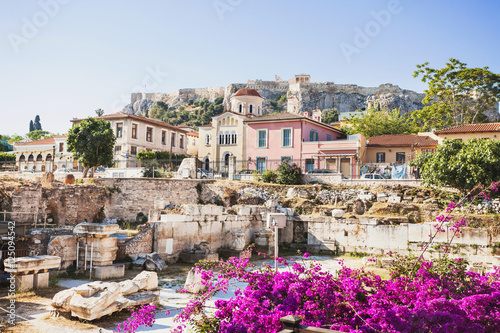 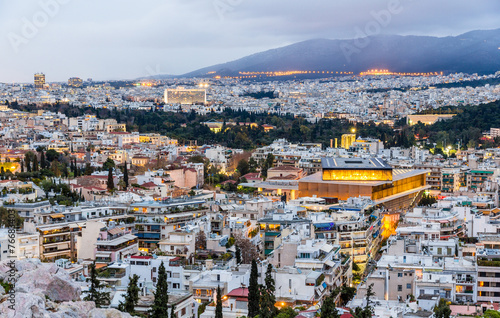 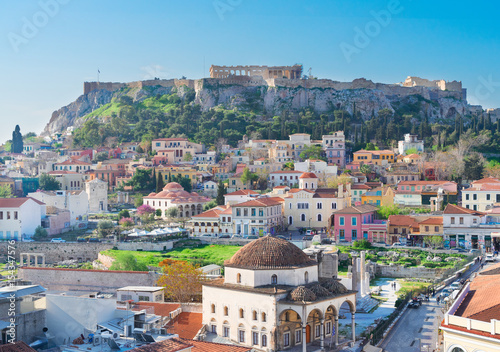 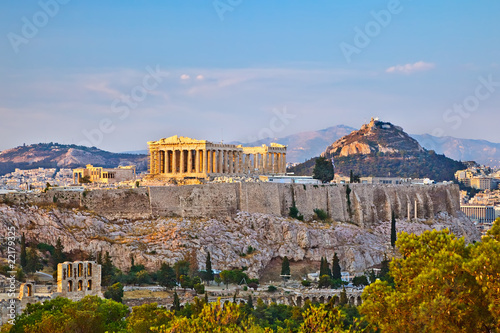 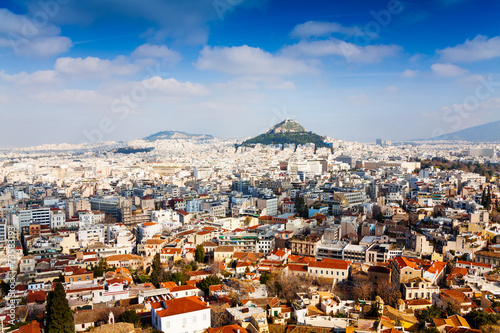 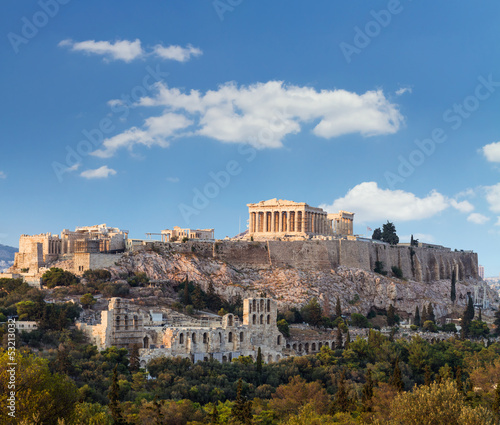 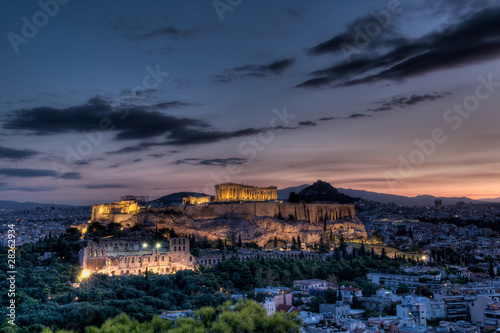 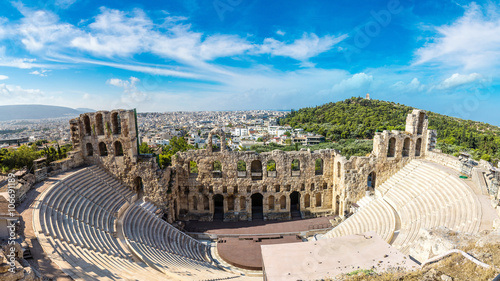 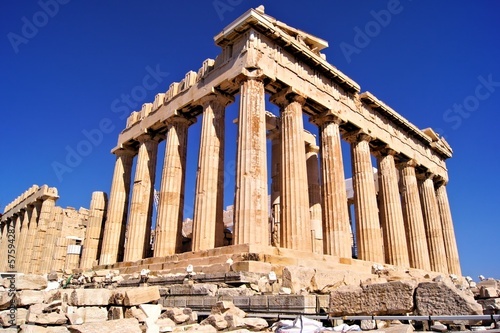 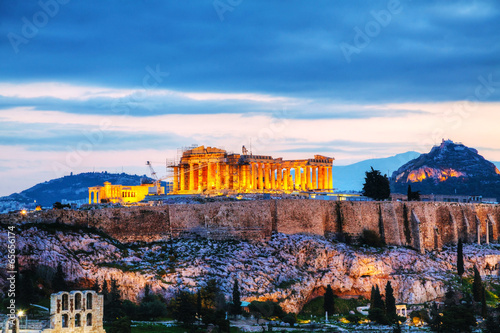 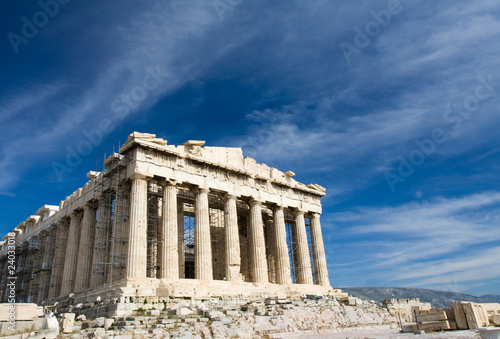 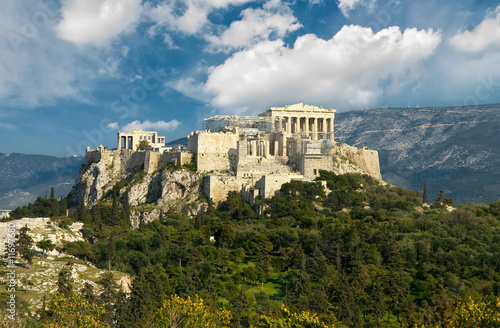 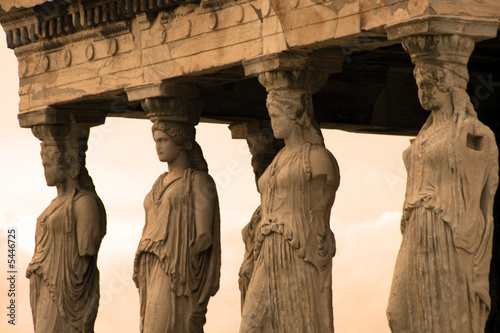 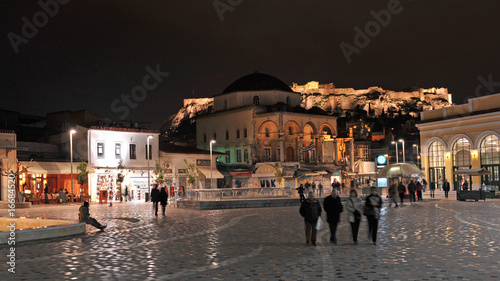 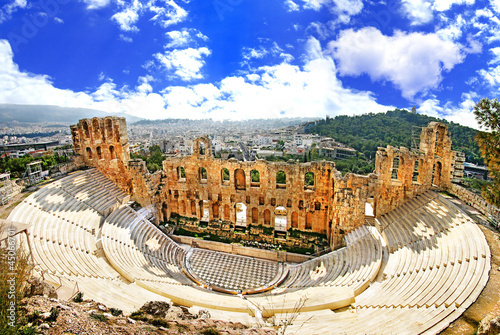 Panorama view on Acropolis in Athens, Greece, at sunrise. 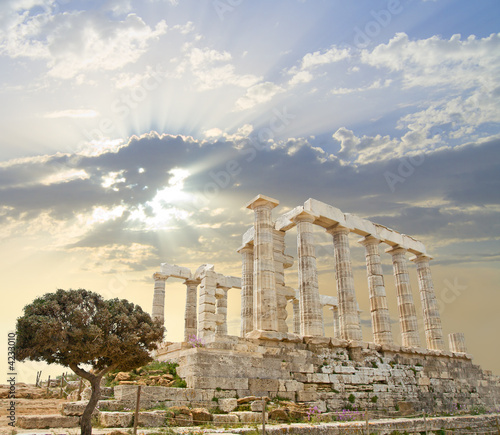 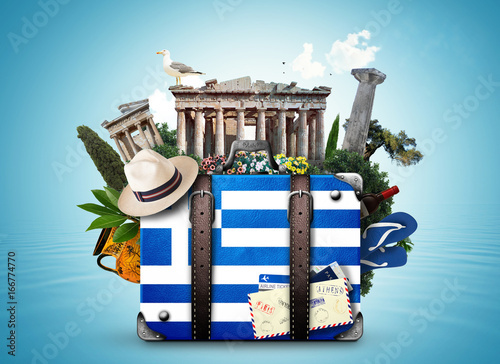 Scenic travel background with dramatic sky.